In these 26 short essays, Dumas regales us with tales of her family’s adventures with the English language, with well-meaning people who have no idea where Iran is or even how to pronounce it, and with their excursions to Disney Land, where the author manages to get lost. Her trip to Paris, her wedding (to a Frenchman), and even her nose, are all rich fodder for her merriment. She even manages to inject humor into the time she and her family nearly got beaten up by anti-Shah demonstrators in Washington, DC. I think the funniest piece in this book is called “Seeing Red,” which is about a misadventure with a red quilt. Shortly after her marriage, the author’s mother gives Dumas and her husband a bright-red quilt, which Dumas and her husband pretend to love to spare her mother’s feelings. In an effort to get rid of it, Dumas washes it in hot water every week for six months, so that she can honestly tell her mother that the quilt had worn out. I won’t tell you how this ends — you’ll have to read it yourself. Not all of the 28 vignettes in this book are funny. The last piece in the book, “444 Days,” recounts some time Dumas spent with Kathryn Koob, a survivor of the Iranian hostage crisis. Koob and Dumas exchanged books, and Dumas visited Koob in her home state of Iowa. Dumas was very moved by the fact that Koob harbored no hatred towards Iranians, despite her ordeal. Since the publication of her first book, Dumas has accepted speaking engagements for the purpose of “reminding us that our commonalities far outweigh our differences,” according to her web site, www.FiroozehDumas.com. Both of these books would be great companion reads with the short story collection My Name is Aram by William Saroyan (which I reviewed in an earlier post). Both are about children of immigrants from the Middle East. Saroyan’s book was first published in 1940. My new novel, And Laughter Fell from the Sky , is a love story and a story about searching for one’s path in life. It has been described as “a witty, timely exploration of the varying definitions of success, belonging, cultural identity, and the human desire to connect” (according to a review in Booklist). My intention was to write an entertaining novel with interesting characters who had things to learn, and to explore some of the issues faced by second generation Americans. Although this book is not at all autobiographical, still I am very familiar with the pressures and conflicts the characters face as a result of trying to straddle two cultures. Here are some Reading Group questions. I’m interested to see how readers of immigrant and second generation literature react to this novel. Feel free to leave a comment. 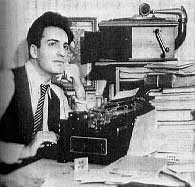 I’ve been aware for years that William Saroyan was a well-known author, but I’d never read any of his work, and until I began putting this web site together I didn’t realize he was second-generation Armenian-American. He lived from 1908 to 1981, and was a prolific writer of short stories, novels, and plays. He was awarded the Pulitzer Prize in 1940 for his play The Time of Your Life , but he refused to accept it. Each story features the child Aram as narrator and protagonist. The stories are light and funny for the most part, following Aram as he helps an uncle plant pomegranate trees in the desert, and is bribed into singing in the Presbyterian church (although he is Catholic), and attempts to escape the truant officer in order to hang out at the circus. These stories don’t dwell on the kind of cultural angst that we might expect from a second-generation writer of today. Instead, details such as the fact that Aram speaks Armenian at home, that he has dusky skin and black hair, and that he and his family are poor, are woven into the stories without a lot of fanfare. Occasionally a story hints at the sorrows and regrets of the adult world, as in “The Poor and Burning Arab,” about a silent Arab who hangs out at Aram’s house, presumably because he misses his family back home, and Armenians are as close to Arabs as he could find. I enjoyed every one of the 14 stories in this collection. 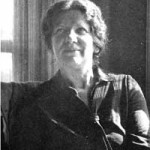 In her introduction to Anzia Yezierska’s novel Salome of the Tenements , Gay Wilentz describes Yezierska as the “author of semifictional autobiography and semiautobiographical fiction” (p. x). 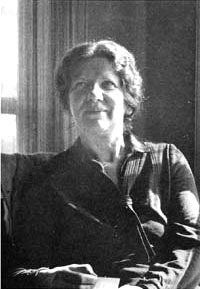 Yezierska is best known for her novels and short stories, which draw heavily from her life. The book she termed “autobiography,” Red Ribbon on a White Horse , was in fact fictionalized. Like Sara Smolinsky, the protagonist of her best-known novel, Bread Givers , Yezierska was a Jew from Poland. She and her siblings had to work from a young age because her father, a Hebrew scholar, believed that the women and children of the family were obliged to support him in his study. Yezierska learned to write by attending night school as an adult, after working all day in a laundry. She then went to Columbia Teachers College. Her first story collection Hungry Hearts (1920) was made into a silent movie, as was her first novel, Salome of the Tenements . 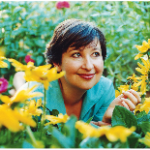 Yezierska’s writing style is passionate and headlong. When I read her work, I feel like I am swept along in the flood of her thoughts and emotions. There is perhaps a lack of subtlety in the scene setting and characterization at times, but this is made up for by the power of her simple, strong prose and fast moving action. Here is an example from Bread Givers : “And then it flashed to me. The story from the Sunday paper. A girl–slaving away in the shop. Her hair was already turning gray, and nothing had ever happened to her. Then suddenly she began to study in the night school, then college. And worked and studied, on and on, until she became a teacher in the schools. A school teacher–I! I saw myself sitting back like a lady at my desk, the children, their eyes on me, watching and waiting for me to call out the different ones to the board, to spell a word, or to answer me a question. It was like looking up to the top of the highest skyscraper while down in the gutter” (p. 155). Hungry Hearts (first published 1920) — A collection of short stories about Jewish immigrants living in the Lower East Side of New York City. Whereas all of Yezierska’s novels are told in the first person, some of her short stories feature a third person narrator. Salome of the Tenements (first published 1923) — An exuberant, funny, poignant novel that deals with class issues. A poor young woman in the Jewish ghetto of New York City falls in love with a millionaire philanthropist. Once she marries him, both of them are in for a real education. Children of Loneliness (first published 1923) — A second collection of short stories about Jews in the Lower East Side. This collection is no longer in print, but you can find the stories in her Collected Stories, pictured above. Bread Givers (first published 1925) — Sara Smolinsky and her three older sisters grow up working to support their father, a rabbi who studies all day. After she witnesses her three sisters trapped into loveless marriages arranged by their father, Sara manages to escape her father’s influence, and educate herself. I’ve read this book twice, and I love it. Arrogant Beggar (first published 1927) — Adele Lindner thinks she has found heaven when she is accepted to live in the Hellman Home for Working Girls, backed by philanthropist Mrs. Hellman. However, Adele discovers the hypocrisy behind rich people with philanthropic interests. All I Could Never Be (first published 1932) — This is similar to Salome of the Tenements in that it is about a poor ghetto young woman who is mesmerized by a wealthy philanthropist. However, whereas Salome of the Tenements has a compelling plot, this novel falls flat. I didn’t get very far into it before I decided to abandon it. This book is no longer in print. Red Ribbon on a White Horse: My Story (first published 1950) — Although this collection of essays is billed “autobiography,” it in fact fictionalizes many incidences of Yezierska’s life. She writes about her experiences in Hollywood in the early 1920s, as well as her financial difficulties during the Great Depression. I found this collection compelling and fascinating. The Open Cage: An Anzia Yezierska Collection — This collection of writings, published after Yezierska’s death, includes some never-before-published stories she wrote in her old age. I first read the Asian-American classic The Woman Warrior by Maxine Hong Kingston in my early twenties. Although the subtitle of the book is “a memoir of a girlhood among ghosts,” there is quite a bit of fiction and myth included in this book. Until a few weeks ago, I believed this was the first book by a second-generation author that I had ever read. In my years of high school and college in the late 1970s and 1980s, my reading consisted largely of white American and European authors, with an African-American author thrown in once in a while. On the surface, Kingston’s life is very different from my own: her parents are from China, mine are from India; she spoke Chinese at home while we spoke mostly English at home; her parents ran a laundry and struggled financially; my father was a doctor and we were well off. Still, I empathized strongly with Kingston’s experiences growing up with immigrant parents from Asia. I related to Kingston’s question in the first section of the book: “Chinese-Americans, when you try to understand what things in you are Chinese, how do you separate what is peculiar to childhood, to poverty, insanities, one family, your mother who marked your growing with stories, from what is Chinese? What is Chinese tradition and what is the movies?” (pp. 5-6). If I replaced the words “Chinese Americans” with “Indian Americans,” I had those same questions. I especially related to the section “At the Western Palace,” in which the aunt and mother from China have such different impressions of America and American behavior than do the American-born children. When the aunt gives gifts which the children accept and enjoy, the mother thinks, “How greedy to play with presents in front of the giver. How impolite (‘untraditional’) in Chinese) her children were” (p. 121). I also liked the inclusion of the Fa Mu Lan myth, because my childhood was full of Hindu myths and religious stories. As I mentioned above, until recently, I was under the impression that The Woman Warrior was the first book I’d read by a second-generation American. However, a few weeks ago I re-read Farewell to Manzanar by Jeanne Wakatsuki Houston, and realized that not only is Houston a second-generation American (on her father’s side), but also that the book contains many cultural similarities to my own life. For example, Houston explains that when she went back to public school after her release from the internment camp, her classmates were amazed that she could speak English. “From that day on, part of me yearned to be invisible. In a way, nothing would have been nicer than for no one to see me. Although I couldn’t have defined it at the time, I felt that if attention were drawn to me, people . . . wouldn’t see me, they would see the slant-eyed, the Asian” (p. 142). As a child, I also longed for people to see the real “me” and not my brown skin and black hair that made me so different and “foreign” looking. I too longed to be invisible in a way. This makes me realize that children and teens may not make the cultural connections that to adults might seem obvious. Would I have noticed this if an adult had pointed it out to me? Yet at that time I told no one about my wish to be “normal,” my wish for my ethnicity to be invisible. Is it important for adults to help kids make these kinds of connections, or is it just futile? Maybe if the child is not ready to see the connection, it won’t stick. I don’t know. In any case, I finally did make the connection to other second-generation Americans when I read The Woman Warrior. Esmeralda Santiago, author of novels and memoirs, arrived in the U.S. from Puerto Rico at the age of 13. “Migration is a fundamental human activity,” begins Roger Daniels in his book, Coming to America: A History of Immigration and Ethnicity in American Life . Although common, migration and immigration can be difficult. The “second generation” — those who immigrated as children or who were born in the U.S. to immigrant parents — often face unique challenges which cut across cultures. First-generation immigrant Americans tend to have strong ties to the home country, yet consciously chose to come to the United States. Their children, on the other hand, often have weak ties to the home country and had no choice about being raised in the United States. William Saroyan, a playwright, short story writer, and novelist, was born and raised in California. His parents were immigrants from Armenia. According to the 2010 Current Population Survey, about 34 million Americans are second-generation (about 11% of the total U.S. population). Studying literature by second-generation Americans can highlight the transition from immigrant to American. As Marina Budhos notes in her book Remix: Conversations with Immigrant Teenagers : “Immigrant teenagers often don’t have any in-between space where they can work out the pressures of their in-between lives” (p. 10). For the second generation, their lives seem in-between –- they don’t identify completely with the home culture or with American culture. Julia Alvarez, who immigrated from the Dominican Republic as a child, titled her first book How the Garcia Girls Lost Their Accents . The second generation typically loses their accent and begins to speak like the Americans around them, but the first generation, those who came here as adults, typically don’t lose their accent. They retain their identification with the home culture even in the way they speak. About Jyotsna Sreenivasan: I am a second generation American (my parents are immigrants from India). My novel And Laughter Fell from the Sky is about two twenty-something Indian-Americans trying to find love and their place in the world. My book Aruna’s Journeys is an autobiographical novel for middle-grade readers about an Indian-American girl’s search for identity.